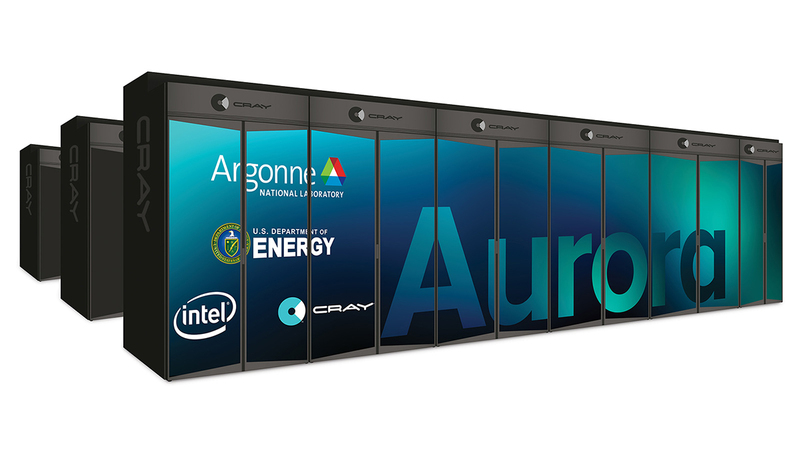 On 18 March 2019, DOE, ANL, Intel, and Cray announced Aurora will be the nation's first exascale computer. As part of the process of bringing a new supercomputer into production, the ALCF hosts the Early Science Program (ESP) to ensure its next-generation systems are ready to hit the ground running. The intent of the ESP is to use the critical pre-production time period to prepare key applications for the architecture and scale of a new supercomputer, and to solidify libraries and infrastructure to pave the way for other production applications to run on the system. In addition to fostering application readiness, the ESP allows researchers to pursue innovative computational science projects not possible on today’s leadership-class supercomputers. The current phase of ESP is now targeting the nation's first exascale system, to be delivered to ALCF in 2021. We have already selected a set of 10 projects in the traditional HPC simulation pillar. These projects are underway, working toward Aurora 2021. The call for simulation-based proposals for the Aurora ESP was open from July 6 to September 2, 2016. On January 30, 2016, we announced these Aurora ESP projects. Our most recent call for proposals specifically sought proposals with Data and Learning focus (but is open to proposals that are cross-cutting across the three pillars). The previous ESP phase targeted Theta, a system based on Intel’s second-generation Xeon Phi processor, delivered to ALCF in late 2016, Theta will serve as a bridge between the ALCF’s other production system, Mira, and the next leadership-class supercomputer, Aurora, an exascale system slated for delivery in 2021. The Theta ESP call for proposals was open from April 22 - May 22, 2015, and projects were selected in July 2015. For details, see the Theta ESP project announcement. The Theta and Aurora Early Science Programs are based on the ALCF's highly successful Mira ESP. Join us in launching the first scientific calculations on our next-generation leadership system, Aurora. We are looking for motivated candidates for two-year ALCF postdoctoral appointments working with our ten Aurora ESP simulation projects. You'll find brief descriptions of the positions, and links for applying, on our Careers page. Williams, "ALCF Early Science Program for Xeon Phi Supercomputers"
Li et al., "MILC Staggered Conjugate Gradient Performance on Intel KNL"
Boyle et al., "Grid: Structured Cartesian Mesh Library for Quantum Chromodynamics"
Finkel et al., "HACC on the KNL - Porting, Optimizing, and Early Experiences"
Joo et al., "Chroma on Knights Landing Three Ways"
Luo et al., "Optimizations of Bspline-based Orbital Evaluations in Quantum Monte Carlo on Multi/Many-core Shared Memory Processors"
DiStasio et al., "Enabling Large-Scale Hybrid Density Functional Theory Based Ab Initio Molecular Dynamics in Condensed-Phase Systems"
Alexeev et al., "Efficient MPI/OpenMP Parallelization of the Hartree-Fock Method on Intel® Xeon Phi Processors"
Finkel, "LLVM and Clang on the KNL"
Rizzi et al., "Visualization with vl3. Now on the CPU"
Talk on ESP from 2015 (video, slides).